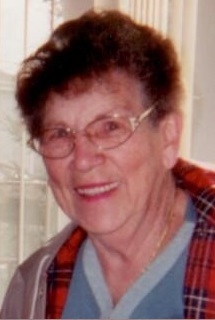 Catherine Jester, age 97, of Jefferson Hills, Pennsylvania, passed away at Rest Haven Nursing Home in York, Pennsylvania. Catherine had been in York the last few years to be near her daughter Jean. She was born in Jefferson Borough (now Jefferson Hills) on March 27, 1921 one of four daughters of Frank and Ida Mae (Hartlein) Fisher. She was one of the founding members of the Jefferson Borough Women’s Club. In addition to her parents she was preceded in death by her husband, William David Jester, Sr in 2008 and her three sisters, Ida Newmeyer, Mary Vitalli and Pauline Kowal. She is survived by her four children, daughters, Ida (the late Duane) McConeghy of Jefferson Hills, Cathy (Harry) Lhiva of Allen Park, Michigan and Wanda “Jean” (Eugene) Fenton of York and son, William D. (Phyllis) Jester, Jr. of Elizabeth, Pennsylvania; ten grandchildren; twelve great grandchildren and 6 great-great grandchildren. Friends will be received on Friday, February 8, 2019 from 2 – 4 and 6 – 8 PM in the Stephen D. Slater Funeral Home, Jefferson Hills, Pennsylvania 15025 (412-384-0350). Her funeral service will be held in the funeral home on Saturday, February 9, 2019 at 10 AM with Methodist Minister, the Reverend Hal Dangel officiating. Interment will follow in Jefferson Memorial Park Cemetery in Pleasant Hills, Pennsylvania. Memorial donations may be made in Catherine’s name to the Olivet Presbyterian Church 726 Fourth Street West Elizabeth, Pennsylvania 15088.